15 prisoners at HMP The Mount, Bovingdon, a British prison, rowed for 12 hours straight from 7 am onwards on Monday 24th April this year raising over £1200 (1 lakh) for the Gyan Azhar Library. Sean and the other prisoners and staff have been inspired by Helen , the prison librarian. Helen has worked at The Mount for 18 years, providing educational support to prisoners and guiding them through Open University degrees as well as encouraging recreational reading. Helen went to India on holiday in January this year and visited the library run by NGO, Tiljala SHED. She met some of the 700 girls who use the library and was invited into some of their homes in the slum afterwards. Helen says, “In January this year I was privileged to visit a pretty amazing library. The Gyan Azhar library was set up in 2008 in one of the poorest slums in Kolkata by a local charity, Tiljala SHED, to provide a safe place for girls to go to study, borrow books, use computers, take part in activities such as health education and crafts and to meet their friends. One of the charity’s main aims is to help girls to stay in education to give themselves the best chance of avoiding a life of extreme poverty and early marriage. With a good education girls can gain financial independence and support themselves and their families and the library plays a big part in this. The girls I met at Gyan Azhar were so proud of their library and really enjoyed showing me around. It’s not big by any means – the library is in a room measuring about 12 feet square – but it has 700 members from the ages of five to twenty! The library is desperately short of books, computers and craft materials and I came back from my trip determined to raise some money to buy some more. 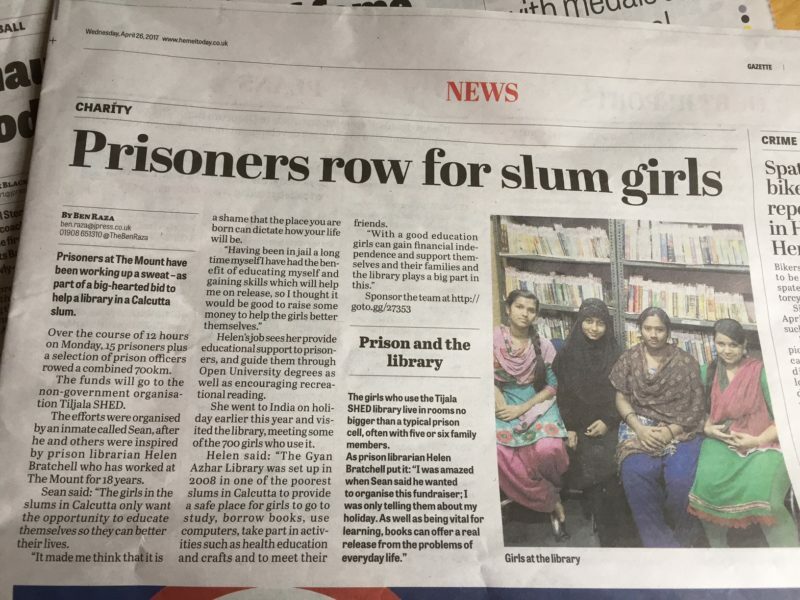 The funds the prisoners have raised will be used to supply books, computers and craft materials for girls to use when they visit the library. • Shafkat’s NGO Tiljala SHED needs a year-long funding for a weekend langar for 450 residents of a canal-side squatter’s development in Topsia. • Babar Ali’s NGO Anand Shiksha Niketan in Murshidabad needs to add facilities that can help his school take in more students than he can otherwise address. • Deshopriyo Mahapatra of NGO Amitie needs to provide as many people the opportunity to meet transgenders so that they may be treated as human beings first and needy individuals thereafter. • Arjan Basu-Roy of NGO Nature Mates needs to reach out to environment-supporting donors who can help his NGO meet rent expenses and the recruitment of two butterfly-farmers. Kolkata Gives is hosting the city’s largest philanthropic event on Sunday, February 7 at hotel Park Plaza, Gariahat, between 10am and 7pm. The express intention of the event is to bring prospective donors eyebrow-to-eyebrow with 30 credible NGOs across a variety of disciplines – with the objective to enhance an NGO’s access to resources on the one hand and a donor’s access to honest NGOs on the other. The event represents an idea whose time has come for a number of reasons. 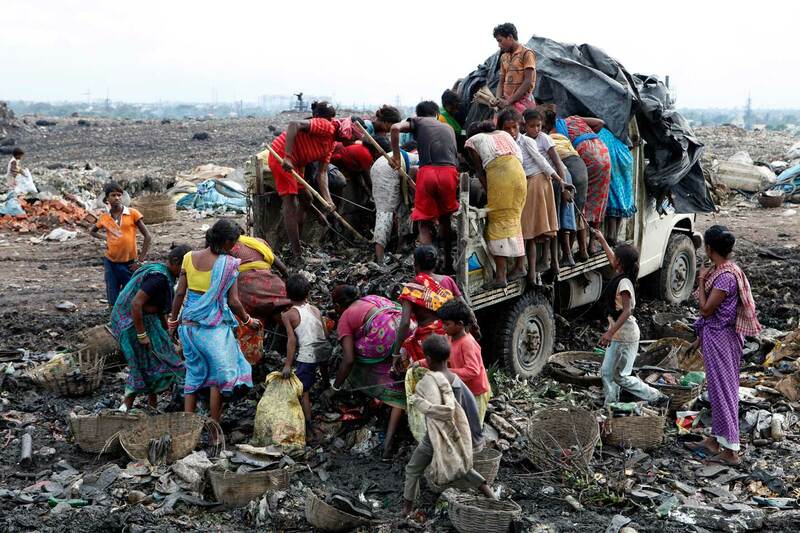 One, in modern India, unprecedented wealth has been created adjacent to extensive poverty, enhancing a sense of guilt. An annual event like Kolkata Gives makes it possible for these constituencies to engage with each other and facilitate a transfer of needed resources. Two, there is a growing feeling that a number of the less-privileged communities are lacking not native intelligence or enthusiasm, but opportunity. An annual engagement like Kolkata Gives makes it possible for the affluent to network among themselves and provide the disadvantaged with a kickstart in life. Three, not all necessary interventions by the affluent need be large or enduring. In a number of cases, the blockers can be addressed with modest support – as simple as a toilet for girl students, rent funding, nominal increase in volunteer remuneration – that could graduate the NGOs into their next orbit of growth. 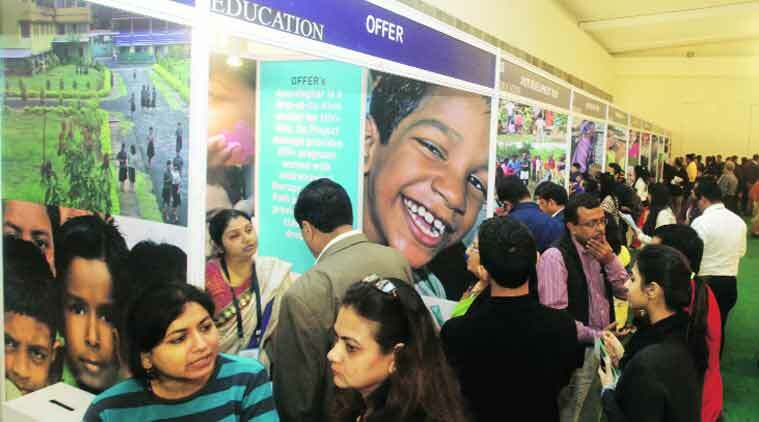 An event like Kolkata Gives makes it possible for prospective donors to engage extensively with NGO executives and identify these hydraulic opportunities. Four, not all NGOs are confident and optimistic, even while the causes they represent continue to be critical and credible. An event like Kolkata Gives draws observers, commentators, analysts and resource providers who could provide these NGOs with precious resources (cash, contacts and clarity) to take their movement ahead. So the big question: have these improvements transpired in any of the previous Kolkata Gives annual events? Jyoti Development Trust ran a school for tribal children on the IIT Kharagpur campus. Following its presence at the inaugural 2013 event, the NGO received an unprecedented commitment of Rs 40 million to build a new educational facility. Mamoon Akhtar’s school in Tikiapara comprised 1,400 students when he was invited to the inaugural Kolkata Gives event in 2013; today, supported extensively by Kolkata Gives, his student count has increased to 3,400, making him arguably Kolkata’s fastest growing educational institution. Kolkata Swasthya Sankalp’s mission to provide the lowest cost diagnostic service in India received a shot in the arm following the donation of an expensive dialysis machine during the 2015 event. Leprosy Mission’s objective to provide one of the lowest cost leprosy treatment in remote Bengal was reinforced by the donation of an X-ray machine following the 2015 Kolkata Gives event. Which brings us to the big question: what if someone has no money to contribute? The answer: for them, there could always be pre-used clothes, unused medicines, old toys and even well-worn school books. Emphasising the point that when it comes to giving, no amount, no thought and no word is too small or inconsequential. Which is why, the Kolkata Gives event on Sunday promises to be more than a networking event; it promises to be a celebration of the spirit of giving.